The bleachers at Crystal Lake South High School. 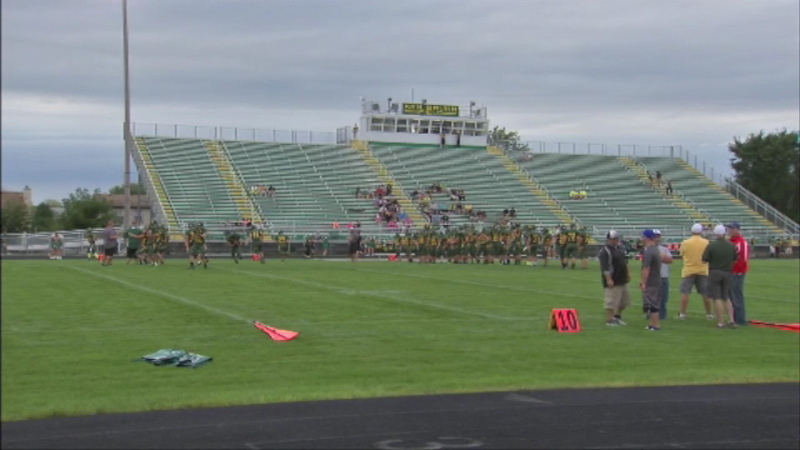 CRYSTAL LAKE, Ill. -- Taking down the giant bleachers built at Crystal Lake South High School will cost about a seventh of what it cost to put them up. A $233,000 contract was approved for the demolition of the $1.8 million bleachers. The Illinois Supreme Court ruled the high school ignored zoning laws and must go through the correct process, which is something the school said it couldn't afford. Neighbors said their privacy is violated by people in the stands, the sun is blocked by the structure and the noise level is too high. The demolition date has not been set.